Here’s when Capaldi went full-on Hercule Poirot. “And I thought, I’m finished, I don’t need anymore trousers! 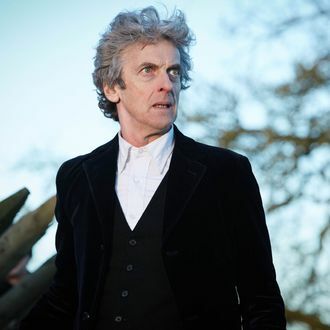 Because the Doctor wears Paul Smith trousers, for all of the fashionistas in the room,” he continued. “So they were obviously looking for a pair of trousers for the new Doctor to wear, and I thought, that possibly can’t be a man. A 30-inch waist? No way. I thought it must be a lady then. And they called me a couple of days later to tell me before it was announced.” This is basic Inseam 101.